Following breakfast, you can start the full day sightseeing in Munnar. Visit - Mattupetty Lake & Dam, Echo Point and blossom Garden etc. Following breakfast visit Kundale Lake, Rajamalai, Eravikulam Wildlife sanctuary a top peak of Munnar where you can see Neelgiril Thar (mountain goats), tea gardens and tea factory. After breakfast start the journey to Thekkady, drive through panoramic western ghat, that hills covered with spice plantations and occasional view of waterfalls and streams Visit the sightseeing points in and around Thekkady which includes boating through Periyar lake - South India’s most popular wild life sanctuary, its home to bison, wild elephant, boar, languor, the great Indian tiger and more. Then you can visit spice villages. Overnight stay at the resort. Today morning after breakfast Proceed to Alleppey/Kumarakom, House boat. On arrival check into a traditional House Boat of Kerala Style. 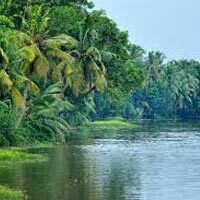 Cruise through the back waters is the fabulous way to explore the fascinating beauty of the backwaters. Get pleasure from fishing and cooking while cruising in the boat. Stay overnight in the air conditioned deluxe House Boat. After breakfast proceed to Kanyakumari. go for sightseeing around Kanyakumari, Visit Vivekananda rock, Triveni Kumari Amman, Sri Padaparai etc. In the evening witness the most fabulous view of sunset from Kanyakumari Over night stay at Kovalam. Following breakfast proceed to Trivandrum visit padmanabha temple, Napier Museum, Sri Chitra Art gallery, Shanghumugham beach etc. Overnight stay at hotel / Resort. Following breakfast you can enjoy some times at beach, later proceed to Cochin. 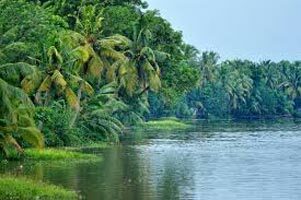 This day sightseeing will be depending your arrival time at Cochin. Over night stay at Cochin. After breakfast proceed to Cochin Airport. Leave to your next destination with the sweet and ever cherishing memories of the vacation you just had.